Black Friday is upon us again, with Japan getting the ball rolling in what has become an annual bargain hunters' paradise. Major retailers in the country were among the first to open their doors to shoppers, with some branches beginning to discount on the stroke of midnight. The tradition began in the United States on the day after the Thanksgiving holiday. 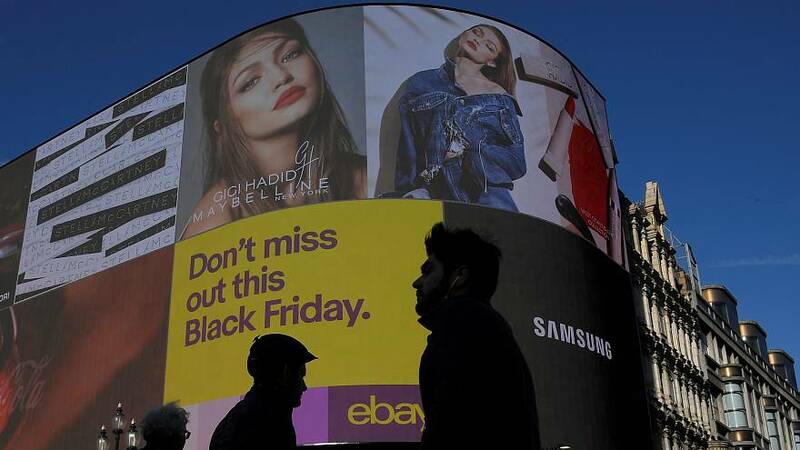 But it is now, well and truly, a global phenomenon and one of the busiest shopping days of the year worldwide as retailers compete to secure customer sales. "The Black Friday weekend can either make or break a retailer, and this is mainly because it marks the beginning of the holiday shopping season, which is the biggest quarter in terms of sales and earnings for a retailer," said Jharonne Martis, Director of Consumer Research for Thomson Reuters. "So if consumers are not getting at least a 40-percent discount or higher, they're really not getting a good Black Friday deal." Those seeking to protect the planet are not necessarily fans of Black Friday. Campaigners hope people will think before joining the consumer frenzy. Increasingly, the shopping craze is moving away from the high street with bargain hunters seeking Black Friday offers online. The annual promotional event was imported from the US into Britain by Amazon in 2010 and has got bigger every year. This year however, Amazon workers in Italy and Germany have made the most of Black Friday to issue calls for strike action. Black Friday was traditionally so named because spending would surge and retailers would begin to turn a profit for the year, moving from the red into the black. The holiday shopping season in the United States, which runs through Christmas on Dec. 25, can account for as much as 40 percent of retailers’ annual sales.